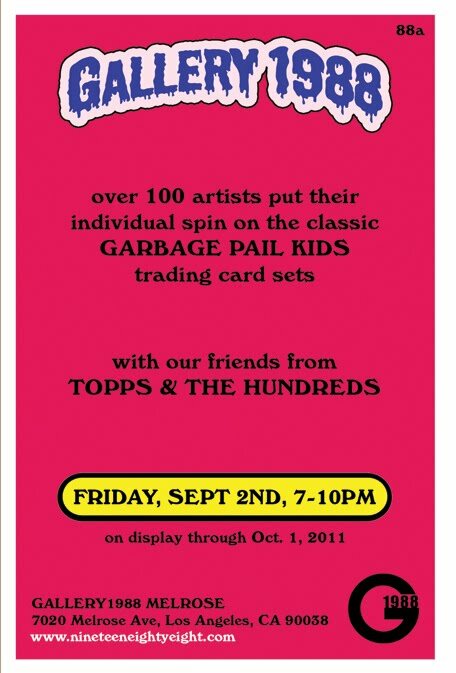 I was invited to participate in Gallery 1988's Garbage Pail Kids Show! Artists were asked to choose a vintage GPK card and redesign it in their own style. I chose Fishy Phyllis! Looking forward to seeing what the other artists picked. That is such a cool idea. 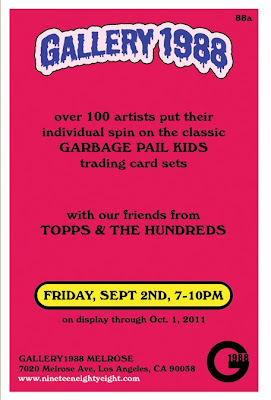 I was a huge fan of Garbage Pail Kids. Even after I was way too old to be admitting such things. Love your take on Fishy! It looks like it could have been a real GPK card. Thanks Sabina! I use to also collect them as a kid.